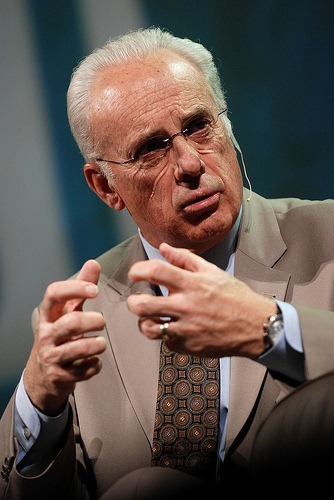 John MacArthur has done a great series of sermons on the theology of work, called Wisdom in the Workplace. "I don't know if you think about work like that, you probably don't. Some of you think about work as a sort of a drudgery that you have to do, whether it's your work at a job that you possess or whether it's domestic work in the home, it's just something that's necessary and you do it and it isn't particularly joyous but it's there and it has to be done. Some of you think about work in relationship to money. You think about work as a way in which you can purchase your pleasures, if you will, purchase the life style that you're after. Some of you think about work as a way to fulfill your ego and achieve what you feel you need to achieve so that you can gain some accolades from the people around you. Some of you think about work as a way to fulfill your ambition, a way to fulfill your gifts and skills, a way to accomplish some meaningful purposeful thing with your life. Some of you think about work as a way to serve people, as a way to make life easier for some folks, as offering a service rendered to them that can be a source of pleasure or enjoyment to them. "There are a lot of ways you can look at work. But I guess if we were to really to sort of sum them up, it might be a long time before we ever heard anybody say...'I look at my work as a way to serve God.' That doesn't seem to be a fairly popular perspective on work, even among Christians, and in fact it should be. In spite of what most people might think, in spite of what most people might feel, work is one of the most honorable and noble things a Christian can do. In fact, in the very beginning God established that man would earn his bread by the sweat of his brow, Genesis 3:19. Right after the Fall God said you're going to work, you're going to work your sustenance." How do you view work? Is it simply a way to pay the bills? In the following table you can either click on the link to listen, read or download the sermon.